Jean Moet is an elegant hotel, situated in a beautiful 18th Century building was renovated to make it an environmentally-friendly establishment, using rainwater recovery, natural beauty products and heat pumps and is a relaxing environment in which to unwind and explore the prestigious Champagne-making town of Epernay. 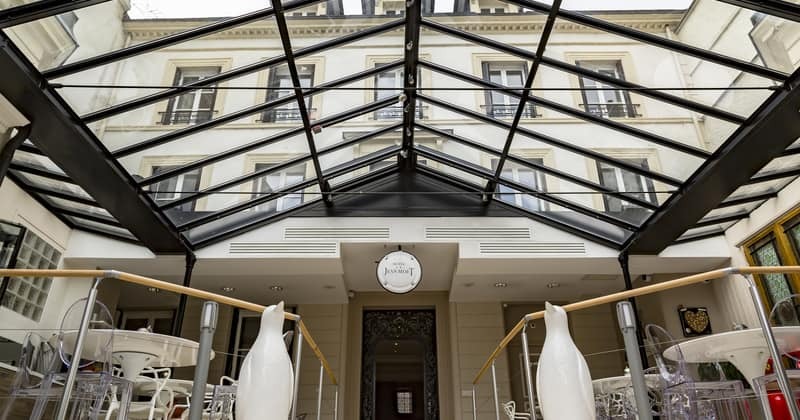 The hotel benefits from an excellent location in the old centre of Epernay, just a few steps away from the Avenue de Champagne, home to some of Champagne’s most prestigious Houses. 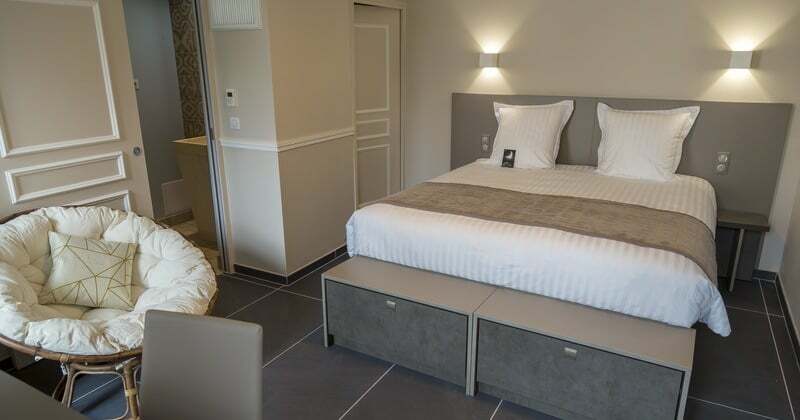 The owners of Jean Moet have paid special attention in retaining the building original charm and character whilst it was being renovated and the result is a tasteful, well-designed hotel which offers a superb service. High speed internet is free of charge and available throughout the hotel and you are able to make national calls from your room at no extra charge. A copious breakfast buffet is served every morning in the light-filled iron forge veranda and a large selection of Champagnes and cocktails can be enjoyed in the sumptuous and refined salon. Our guests will be staying in the superior-graded Mathusalem or Salmanazar rooms which are tastefully-styled, spacious and equipped with a Queen-sized bed, a large desk, an arm chair, a flat screen TV with international channels, a wireless telephone, double glazing, air-conditioning, a mini-bar and a safe. 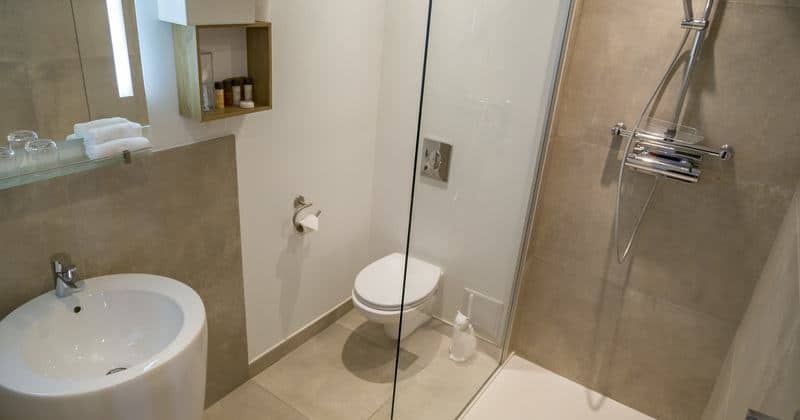 The spotless bathrooms contain all of the necessary commodities, such as a bathtub or shower, a hairdryer, bio products, a towel warmer and bath robes. Due to the popularity of this hotel, early booking is essential to avoid disappointment.